Google boss Eric Schmidt says Iran is a serious threat in cyberspace, creating a constant concern through its breaking of cyber codes. Schmidt told CNN: "Iranians are unusually talented [at cyber warfare] for some reason we don't fully understand." 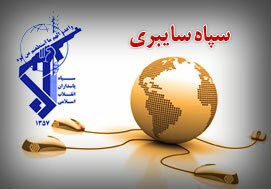 Schmidt referred to Iran's infiltration of Danish cyberspace, using methods that are still not clear to Google. In June, Iranian hackers also managed to infiltrate Dutch websites by hacking into the Diginotar computer system, which issues security certificates for Dutch government sites. In September it was revealed that Iranian agents had hacked into 500 certificates, a considerable increase from a previous announcement that only 50 certificates had been compromised. Schmidt also raised the possibility that Iran hacked into the control system of the unmanned U.S. drone recently it recently captured. The U.S. spy drone entered Iran through the Afghanistan border, and Iran says it was captured with minimal damage. U.S. President Barack Obama has called for the return of the drone, but so far Iran has declined.